Barley production in the acidic soils of northern and central Western Australia could be a wide spread reality in coming seasons with the launch of InterGrain’s new high yielding, white aleurone, acid soil tolerant line, IGB1506 this spring, which has recently been accepted into Barley Australia’s malt accreditation program. IGB1506 will be InterGrain’s first white aleurone, acid soil tolerant barley commercially available to growers and marks a significant breakthrough in barley breeding. Recent micro-malt results have indicated the promising variety has a malt quality profile potentially suited to export brewing industries. The variety not only provides growers with an agronomically suitable barley for inclusion within the rotation, but the possibility of increased profitability with potential malt premiums if the variety is successful in receiving accreditation. New IGB1506, is set to provide a significant yield improvement in WA regions with acid soils, characterised by aluminium toxicity. IGB1506 is broadly adapted and supersedes pioneering acid soil tolerant barley Litmus, with its more consistent yield performance and is ideally suited to lower rainfall areas. 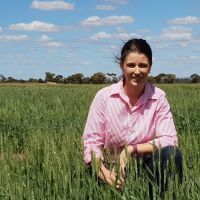 IGB1506 has been extensively trialed within InterGrain’s breeding program over the last 6 years and has been present in National Variety Trials (NVT) for the past two years. The variety has consistently demonstrated a yield advantage of approximately 10% over La Trobe in acidic environments, where pH is below 5.5 (CaCl2) and similar yields in neutral soil types. 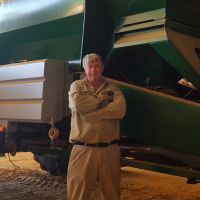 InterGrain Barley Breeder David Moody said, “IGB1506 is derived from a complex breeding strategy aimed at combining as many quality, disease resistance and agronomic traits into an adapted genetic background using molecular markers. “One of the priority traits was tolerance to acid soils, derived from a white aleurone, acid soil tolerant variety and hence is not associated with the blue aleurone characteristic present in Litmus. “IGB1506 represents part of a two-pronged strategy to develop white aleurone, acid soil tolerant varieties. “InterGrain has extensively used this white aleurone, acid soil germplasm within the breeding program however, has also broken the genetic linkage between acid soil tolerance and blue aleurone within the existing Litmus material. “This barley breeding breakthrough has provided an alternate acid soil tolerance germplasm source and we’ve been crossing with this material for a number of years. “These two approaches significantly increase the prospect of developing broadly adapted, future, acid soil tolerant varieties”. Mr Moody sees IGB1506 as an alternative to wheat, providing growers with another cereal crop within their rotation. “One of the biggest limitations for growers in northern WA is that current barley varieties aren’t well adapted to acid soils,” he said. “On acidic soils, current barley varieties, prior to the release of Litmus, have typically been unviable due to the significant yield differential compared to wheat”. IGB1506 also has malting potential, with the variety recently having been accepted into the Barley Australia malt accreditation program. The variety will participate in commercial malt and brewing trials over the next three years, and if successful could potentially receive malt accreditation in March 2021. 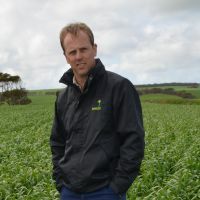 Pithara grower Ben Strickland is among one of three growers trialing IGB1506 this season and is excited about the prospect of a white aleurone Litmus replacement. Ben saw the variety at the Dalwallinu barley NVT whilst at the Liebe Group Field Day last spring and was keen to trial IGB1506 this year. Ben said, “We’re really pleased with how IGB1506 is looking, we sowed the paddock at 30kg/ha to maximise seed bulk-up. “IGB1506 was one of the last paddocks sown in the program, we weren’t able to get a good knockdown due to the dry conditions but it was a pretty clean paddock to start with. “We sowed the crop on the 31st May with 50kg of MAP/MOP (Mono Ammonium Phosphate, Muriate of Potash) and 40kg/ha Urea with 300mm row spacing, although it didn’t emerge until about 7th June. “Following the rain, we’ve had a good germination, it has really jumped away and is now at 3 leaf; its early vigour is impressive, similar to Litmus, and is a definite advantage within our program. Ben said, “I’ve used Litmus a lot within my rotation over the last few seasons, although the uncertainty around the blue aleurone and stack averaging has been challenging when planning rotations. IGB1506 will be officially named and released in spring and will be classified as a feed variety upon release. Seed is available for planting in 2019 from local resellers and Seedclub members.